Core 666 advanced through Team Sovereign’s dungeon. Although it was unfortunate that she ended up having to use her trump card, [Crimson Road], she didn’t regret it. She would have been put in a pretty severe situation if she had to expose her body to the iron ball, after all. Core 666’s master responded in confidence. His voice reflected how confident he was that they wouldn’t ever be able to find the Dummy Core. It was in the Black Armor. That was the Dummy Core’s hiding spot. The Dummy Core was basketball-sized, but it fit perfectly in the Living Armor’s abdomen. The enemy’s dungeon should be attacked with the strongest war potential. The Dummy Core, that which must be protected, should be protected with the strongest war potential. So that she could follow both of these without contradicting either, Core 666 and her master thought of this plan. They came up with the reckless strategy of [Place the Dummy Core inside of the strongest war potential]. This was also the strategy they’d planned to use since long before the Dungeon Battle. That is why they had the rule be [Destroy the Dummy Core] rather than [Touch the Dummy Core]. That way, even if their enemy somehow managed to get inside of the armor, it wouldn’t be counted as a defeat. It was a good opportunity. Their dungeon itself was made up of five floors that had cost them a fitting 50,000 DP. 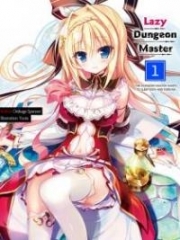 Most of their traps were prepared so that they would work by themselves even if the dungeon was suspended due to the core being outside of the dungeon. Their monsters were almost entirely gotten through [Summon Skeleton]. And finally, their final boss room was a facade. They had to make a boss room midway and buy a bone fish so that they could dam up the water, but—well, it served its purpose of stalling for time. The rest of their DP was used entirely for the sake of strengthening Core 666 herself. Core 666 advanced further inside. There was a room ahead of her. Her master opened the door with the Skeleton he was operating. A wiggling sound came from inside the room followed by a translucent tentacle appearing, wrapping around the Skeleton and seizing it. Weaponless due to being summoned by [Summon Skeleton], it was equipped with what could at most be considered a bone club. It bashed the Tentacle Slimes tentacle with it—it didn’t deal any damage at all. They knew that there was something waiting in ambush behind the door. That’s why she had a Skeleton open the door, so he wasn’t wrong in saying that the cost was justified. However, that was that. Core 666 smiled. Swinging the fire-clad magic sword, she burned the Tentacle Slime. With a sound akin to evaporating water, the Tentacle Slime withdrew its tentacle… A slime’s weakness is fire and magic. This magic sword hit both of those perfectly. When she stepped into the room—there were enough forces gathered together that it could practically be called an armor. There were Golems, Gargoyles, even the Sahagins that she’d seen over in her dungeon and the octopus from a bit ago, as well as a Flying Squid and some others she didn’t know. The Tentacle Slime was there as well, of course. Holding up her magic sword, Core 666 delved into the crowd of monsters. I just got Ichika’s report. I stopped Ichika. I had Meat check outside the dungeon’s entrance, but I was only really able to figure out the the dungeon was located somewhere in an area under the Demon King’s rule. … I’d started wondering what the heck we were supposed to do next, but I came to a conclusion straight away. I clapped a hand onto Rokuko’s shoulder and spoke. Right, the Dummy Core could be anywhere. It could even be hidden and brought here. If we defeat Core 666 who’s invaded us, that’ll be our win. Either our enemy will lose all of their war potential and be unable to fight or we win because their core is destroyed. It’s our win either way. Core 666 is either super confident in herself or she’s an idiot. I’d be glad if it’s the latter.